As winter wanes, the cold air abates, and the sun is brighter, homeowners start to consider the home improvement projects to start in the spring. It’s a good time for Houston concrete contractors as well. The spring is the ideal season to repair or replace your driveway. You will have to wait a few days before driving on it, but concrete is a better option if you value the longevity, ease of ownership, and versatility. Below are more benefits of concrete over asphalt as a driveway material. Concrete affords the benefits of a durable substrate—cement. On the other hand, asphalt uses a tar adhesive, a relatively inexpensive substance, yet one that degrades more readily and quickly. Concrete is more heat-resistant and doesn’t soften from heat exposure. If you prefer a more maintenance-free experience, this is the way to go, and you can enjoy your driveway for many years without driveway repair in Houston. Stained or tinted in the color of your choice. Stained with different colors to create unique patterns. Stamped with special equipment to achieve a design. Etched or engraved into various designs and looks. Finished with brushed techniques, exposed aggregate, and other options. In fact, you can pick a pattern of choice or be as creative as you like. The options are pretty much unlimited. On the other hand, it is difficult to apply a finish to asphalt, because it must always be rolled and compressed. Some asphalt companies mix the material with coloring or add it with a sealant, but there aren’t nearly as many options as there are with concrete. Maintenance: Sealing isn’t necessarily a must for concrete, although it can preserve the look and finish and extend the times between Houston driveway repair service calls. Without sealing, the surface may or may not last its maximum lifetime, but a durable sealant offers protection. Concrete maintenance can involve degreasing oil-based stains, but you may be able to use water and soap to remove some stains. Topical sealants provide a polished look and are often maintained via buffing to restore their shine, or by routinely re-applying the finish. Concrete is prone to weathering, especially with the cracks that can develop in extremely cold weather. While asphalt cracks can be easily repaired, the material is even more susceptible to the elements and requires more frequent maintenance. It must be re-sealed every few years and may need to be resurfaced on a regular basis. 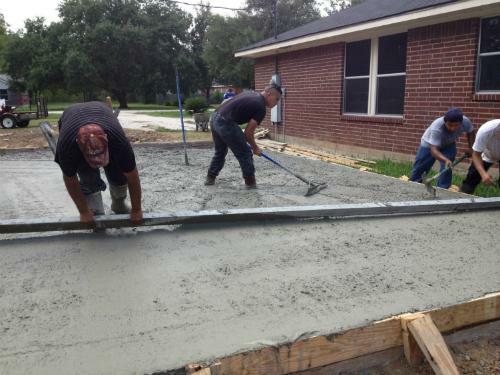 Concrete companies in Houston can provide you with the services needed to maximize the benefits. Cost: Arguments for the cheaper cost of asphalt can be offset by expenditures for maintaining it. Concrete is costlier to install, yet asphalt prices fluctuate with crude oil prices so are, therefore, less predictable. Another factor impacting ultimate costs is where you live. Contractor, materials, and permit costs, plus taxes, are factors you need to consider. Climate: Concrete doesn’t have the issues asphalt does in hot temperatures. Tar can turn soft in the heat. You may even see or feel its tackiness, and the surface can even deform. Concrete will never do that, although very cold winters can have an effect. Cracking and frost heaving are possible, and salt for melting ice can leave pits and blotches. However, there are concrete sealers and coatings to boost resistance to damage from the cold winter air. Quality: Your driveway can have a clean, professional look with concrete, which can tolerate wear and tear as well as steel and even natural rock materials. It can hold up to the abuse, not to mention work with any type of landscaping you choose for your home. In fact, concrete can complement and enhance your property in many ways. It’s quite functional, which is proven by how much of it is used to build parking lots, major roadways, bridges, and large buildings, and its ability to bear loads and support vehicles weighing thousands of pounds. Aside from the advantages and disadvantages each material may have, they both require adequate surface preparation before installation. The underlying base must be leveled and compacted by Houston concrete contractors. Both types must be given time to cure as well. Also, be sure to check with local regulations if there are restrictions on materials or other factors such as finish or color. Regulations may also restrict the width of the paved area, while permits and permit fees may apply, depending on where you live. Nonetheless, concrete has numerous benefits over the long run if you choose to give your driveway a solid improvement this spring. 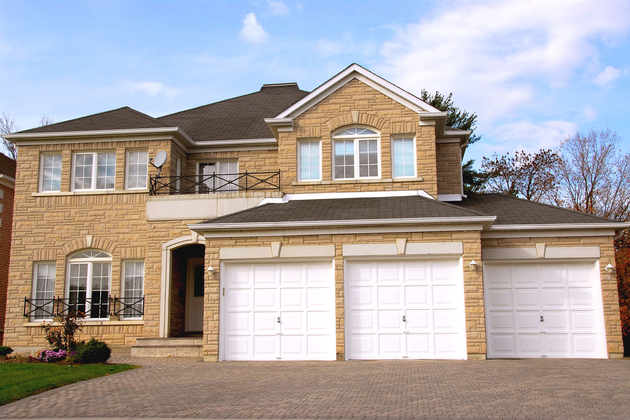 The years and decades you have a concrete driveway are important to the design of your home. It adds value in a number of ways. For one, it is highly functional, featuring a strength and density that can help driveways last for decades when the concrete is correctly poured. 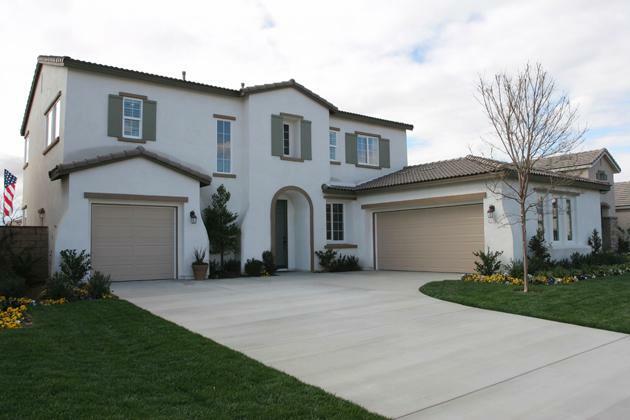 Concrete also boosts curb appeal. The material can be colored, textured, or polished to create just about any look or design, or match or complement the design of your home. Even a standard surface has the aesthetics to impress visitors, neighbors, and potential home buyers in the future. 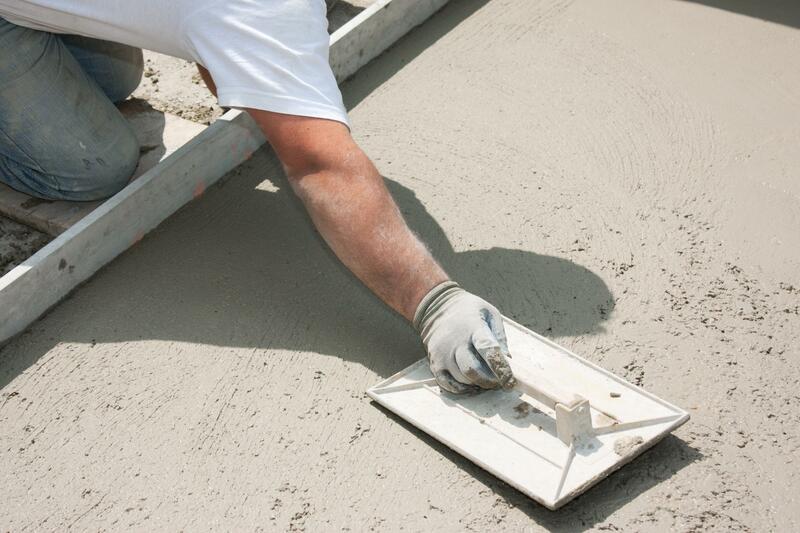 Upon installation, many people wonder how concrete is maintained. Aside from sealing cracks and patching the surface here and there, a few professional methods are available. Concrete repair is possible if it has stained, cracked, or crumbled, or it has gaps or uneven slabs. A professional repair company may be able to use polyurethane sealants or polymer-based cement resurfacers to protect and repair your concrete driveway. 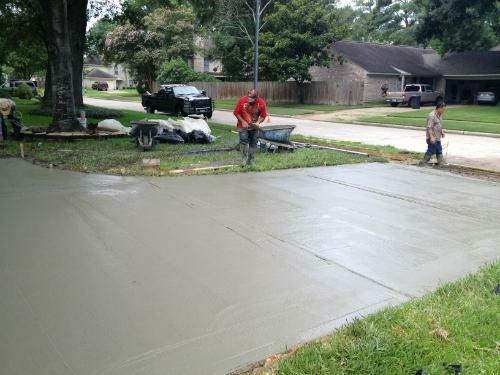 Options for driveway repair Houston homeowners have available also include leveling. Underground water damage, tree roots, and other factors can change the level of the material. Concrete driveway leveling is preceded by a subgrade assessment. A repair contractor should look at all possible safety hazards. Then they can select and implement the corrections that will level and maximize the functionality of your driveway. Other possibilities, such as those offered by CCS Concrete Driveways, include stripping, reinforcement, seal-coating, and raising. 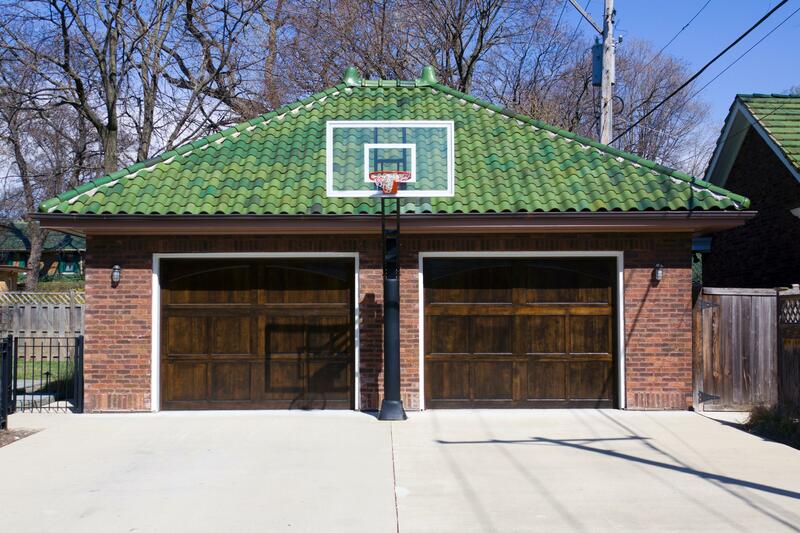 Choosing a material isn’t the only step to having a durable, long-lasting driveway. You also need industry professionals with experience and who understand your needs before, during, and after installation. Most of the time, driveways are installed by contractors specializing in the material of choice. Your general building contractor may step in to help as well, especially if you’re redoing the driveway as part of a larger project, or they may be connected with sub-contractors specializing in, for example, Houston driveway repair. Searching for the right company or contractor is a big step. You want to go with a reputable one, so ask for references and check them diligently, and look also into the company’s insurance and licensing. Searching for complaints filed with the Better Business Bureau can be helpful as well. There are also other resources to conduct your search. You can go to local construction companies for tips and recommendations. Friends and neighbors may have experiences and insights that can be useful. Once you find a few contractors in your area, don’t forget to obtain estimates before proceeding with any work or signing any documents. The benefits of using concrete for your driveway certainly include the availability of industry-leading professionals. In the case of CCS Concrete Driveways (Cross Construction Services), you can depend on over 30 years of experience and a team that has all the skills and tools needed to perform each job correctly. Our company is always honest and dependable and maintains an A rating with the Better Business Bureau. Available 24/7, we offer all customers free project estimates, so the most affordable Houston driveway repair is accessible to everyone. For more information on our all-in-one solutions and professional services, submit a message on the Web, email us at info@ccsconcretedriveways.com, or call (713) 254-1703. Learn more about our products, services, and techniques by visiting us.